Officially dedicated in April of 2014, the Stevens Center is a state-of-the-art indoor tennis and golf facility that was made possible by the generosity of benefactors Jim and Sharon Stevens and Jim (’79) and Gwen Powers. 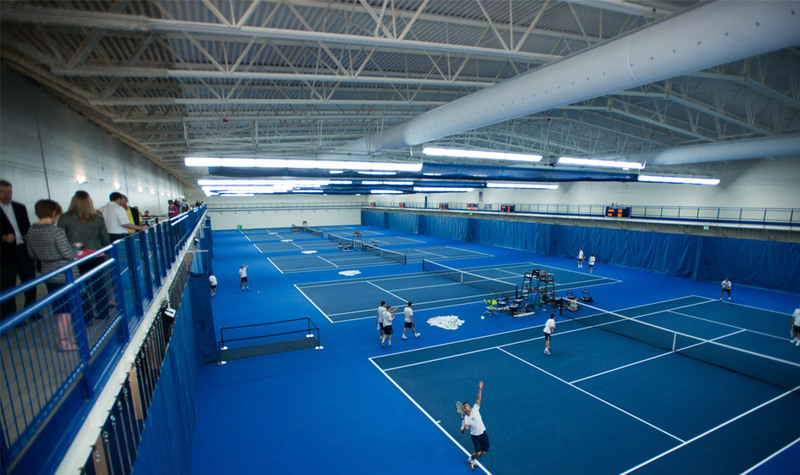 Six regulation tennis courts, a golf practice area, modern locker and training rooms, a team lounge, offices and balcony seating fill the 72,000-square-foot facility. The Stevens and Powers families, along with Carl and Lori Grether; Pat and Sandy Volkar; John and Nancy Rudolf; John and Joan Bollier, and Bill and Judi Williams, made considerable contributions so that the Stevens Center could be the premiere tennis and golf facility on the West Coast. See the full story to learn what inspired them to give so generously.